New IVA/VAT rates came into force throughout Spain today, meaning that already-cash-strapped families will have to tighten their belts still further. The general rate rises from 18% to 21%. The reduced rate rises from 8% to 10%. Many items previously included in the reduced rate list are now excluded, with their tax rate rising to 21%. This means that entrance tickets for theatres, cinemas, shows, attraction parks etc; hairdressing; flowers, plants and funeral services will all cost considerably more. The super reduced rate of 4% remains unchanged. Again, many items in this category previously have now been excluded and placed within the general rate of 21%. The cost of many stationery items and school materials will rise steeply – which won´t go down well with parents as their children return to school shortly. You can read the full list of changes here . This entry was tagged Andalucía, cost of living, culture, East of Malaga, Europe, Food, life, lifestyle, Malaga, shopping, Spain. Bookmark the permalink. Prices going up everywhere – it’s so annoying and frustrating! Yes! Why can’t prices come down for a change – that would be awesome, and not sale-like-down. I mean down as is permanent price drop, less sales tax (even none!) stuff like that! The rising costs make it harder and harder to eat healthy. The weather has affected our prices for fresh … everything. I always try to buy fresh, local produce rather than anything that is ready-made. At least that way, I KNOW what is in the food, to try to keep it as healthy as I can and it´s usually a little cheaper, too. I´ve read that Mercadona, Lidl, Carrefour and some other bigger supermarkets are going to absorb the increases for a while. We´ll have to see! We´ve been coming to Australia for many years, and over the past few – the prices have risen soooo much. 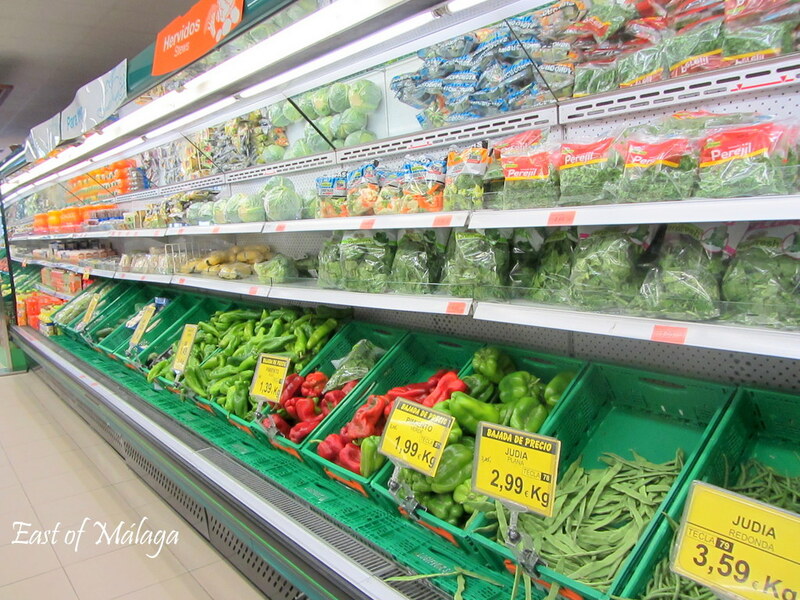 I´ve read some articles which suggest that the large supermarkets (Mercadona, Lidl, Carrefour etc) are going to absorb the cost of the IVA for a while – but I shouldn´t think that will last for long. I know what you mean Marianne….. I live in Greece…..
We are all really feeling the pinch now, aren’t we? Things are tough, that´s for sure.